Today I have a great giveaway for all of the moms and moms to be out! 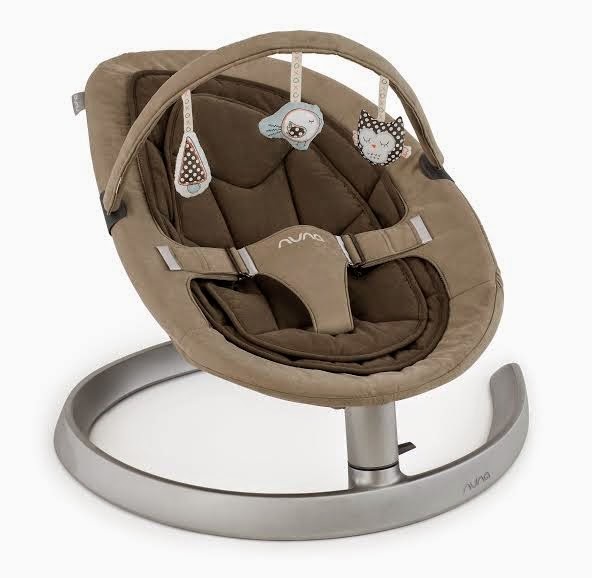 I have teamed up with one of my favorite companies when it comes to baby products, Nuna to give my readers a chance to win the new Nuna leaf luxx (pictured above). I have the Nuna leaf, that I can not wait to use soon. But this is the even better version of the one that I have. The Nuna leaf luxx Comes with the toy bar (that is removable) and the newborn insert, It is really light weight and easy to store or travel with, It locks into a place for play time or feedings and my favorite thing about the Nuna leaf is that it does not need batteries or electricity. So no cords and no noise. You can put it anywhere that is best for you at t he time and not worry about plugging it in. I am such a huge fan of Nuna products. I have the Nuna pipa car seat and a Nuna stroller. They are really great well made products. The giveaway is only for ONE day. So you don't want to miss your chance to win! To enter use the Rafflecopter widget below. ONE winner will be picked at the end of the day! The more entries you complete the better chance you have at winning. P.S. there are some really great sales going on today! Here is a list o some of my favorites! If only I had a little! Great giveaway! Awesome deal, but no more babies for me! Two is plenty! I totally need this. Well two actually I've got twins on The way. Awesome give away. We would love to win this for our little man. He has outgrown his bouncer and still wants to sit in it. It was his favorite chair to sit in. Great giveaway! I love Nuna products. We've registered for the Pipa and the Sena and I can't wait until the Mixx comes out to try it. I am new around here! So glad to find your blog. I have a baby girl due at the end of January and I would love to win the Nuna Leaf! I have the nuns pippa and pepp and I can't wait to use them!! Thanks for the great giveaway! I didn't have one of these with my first and now it's on my must have list for the second! I have heard only wonderful things about the Nuna Leaf. I would love one for my baby girl. It would be fantastic to actually win one! Thanks for the giveaway! Cuteness! And so much smaller than the bulky swing I had for my first born! I am envious. I wasn't able to have this for my baby.